Finally, we are here at the good bit! 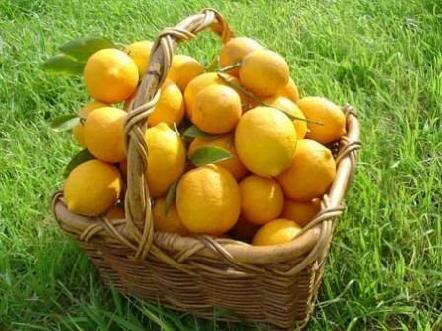 Now that you have successfully grown bushels and bushels of beautiful lemons what are you going to do with them all? Quite the high class problem, I’ll admit. Of course there are myriad options when it comes to using lemons as they are just so versatile. Lemon chicken, lemon meringue pie, lemon curd (a favourite of mine), salmon with lemon, capers and rosemary, spicy lemon garlic shrimp … the list goes on and on. But my favourite thing to do with lots of lemons, particularly Meyer Lemons, is to make Limoncello. 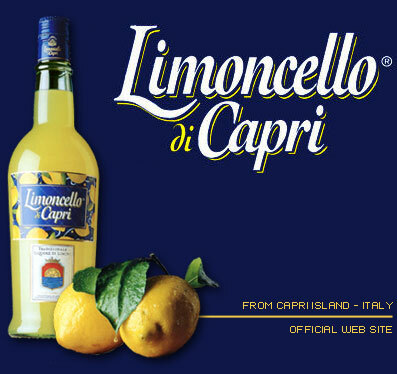 Limoncello di Capri. ‘Nuf said. 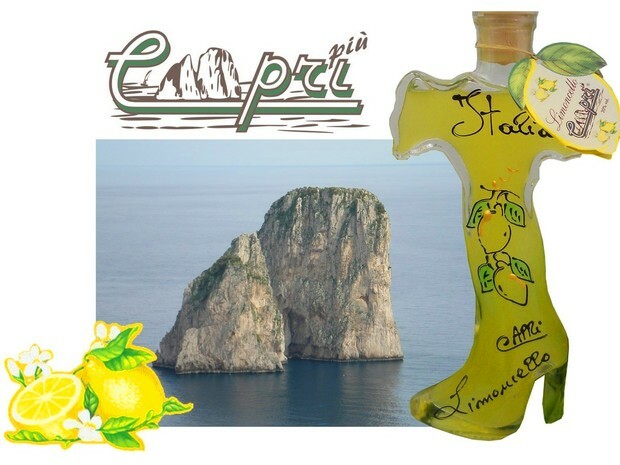 Limoncello is an Italian lemon liquour produced mainly in Southern Italy but particularly in the area around the Bay of Naples and the Amalfi Coast. It is made by steeping the lemon peels in alcohol for quite a long time, then mixing the resultant yellow liquid with a simple syrup made from sugar and water. It is traditionally served ice cold as an after dinner digestif and is quite simply, heavenly. 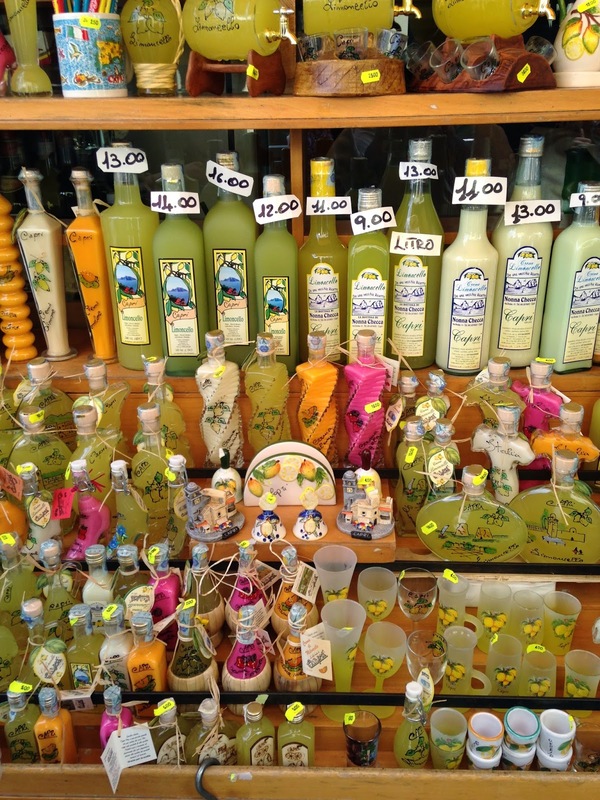 There were stores everywhere in Capri selling Limoncello, stores literally packed to the rafters with the sweet little bottles. Clearly, some were more tourist cliche than Southern Italian chic but charming none the less. Quick Quiz: What is my favourite way to enjoy limoncello? Ice cold straight from the freezer? Mixed with ice and soda? That’s right! All of the above. You’ve gotta try it. OK, recipe time. I like to use Giada de Laurentiis’ recipe here. She has a bunch of videos on how to make it, too, so you can’t go wrong. It is so simple. Using a vegetable peeler, remove the peel from the lemons in long strips (reserve the lemons for another use – maybe lemon curd). Using a small sharp knife, trim away the white pith from the lemon peels; discard the pith. Place the lemon peels in a 2-quart pitcher. Pour the vodka over the peels and cover with plastic wrap. Steep the lemon peels in the vodka for 4 days at room temperature. Stir the water and sugar in a large saucepan over medium heat until the sugar dissolves, about 5 minutes. Cool completely. Pour the sugar syrup over the vodka mixture. Cover and let stand at room temperature overnight. Strain the limoncello through a mesh strainer. Discard the peels. Transfer the limoncello to bottles. 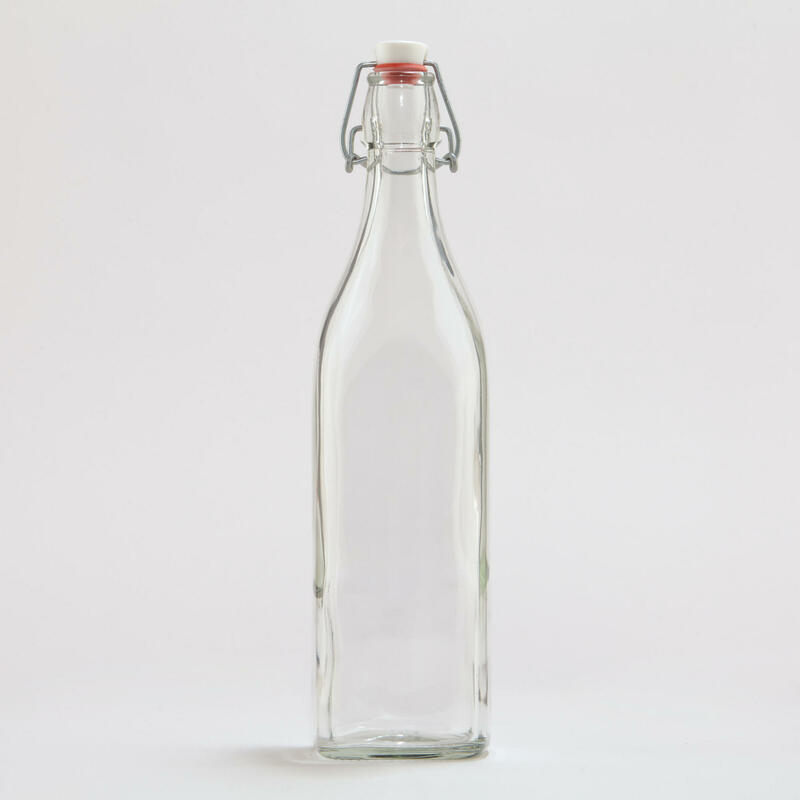 Seal the bottles and refrigerate until cold, at least 4 hours. NB: I store my bottles of limoncello in the freezer. They last forever in there, it seems. I love to make this for gifts as they present so very well. A pretty bottle, a pretty label and a pretty swingtag with some suggested uses makes a perfect gift. I like to use the tall glass bottles with the stoppers at the top, like these from World Market. Now, what if you want to make the BEST Limoncello? Well, I’m glad you asked. While researching this post I came across another technique I’m dying to try used by Franny’s in Brooklyn. The tutorial is irresistably entitled “How to Make the Best Limoncello You’ve Ever Had” – they’ve totally suckered me in. Here, instead of peeling the lemons and steeping the peels in the alcohol, they suspend 2 whole lemons in cheesecloth above the vodka allowing the alcohol vapours to macerate the lemons to extract their oils without the bitterness of the pith. Lemons suspended over the vodka to make limoncello at Franny’s. Compelling, no? Apparently, this is an old Sicilian technique. I’m totally gonna try it. Maybe I’ll do both versions and do a side-by-side blind tasting. Sounds fun, right? Wanna come to my house for a When Life Gives You Lemons … Drink Limoncello soiree? I should make this an annual summer event. And thus concludes my When Life Gives You Lemons… series. So, Dear Readers, what did you think? Did you stick with me through the whole thing? I really hope you have enjoyed the process as much as I have enjoyed bringing it to you. 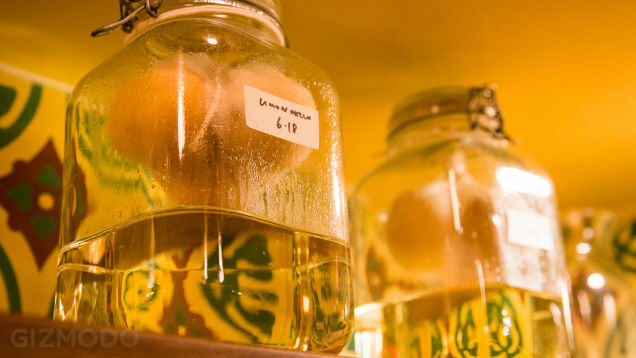 I also hope you might try growing your own citrus and making your own limoncello! I, for one, am looking forward to trying the new limoncello technique sometime soon. Do let me know how your lemon adventures go! It was probably hiding with all those lemon trees in blue pots I ‘saw’. Ha! 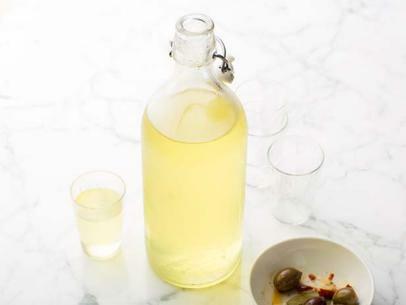 Homemade limoncello will go nicely along side your homemade elderflower wine, don’t you think?